Home Miley Cyrus' Brother Banging Patrick's Sister! Miley Cyrus' Brother Banging Patrick's Sister! If JFK is watching ... here's your New Frontier ... two of your niece's children are banging the offspring of the dude who sang "Achy Breaky Heart." We've learned Miley Cyrus is not the only one getting a piece of the Kennedys ... her brother Braison is dating boyfriend Patrick Schwarzenegger's sis, Christina. 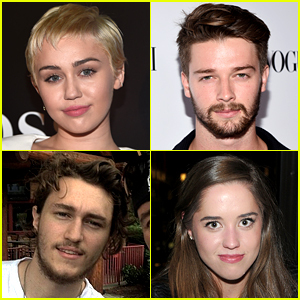 Tags # Miley Cyrus' Brother Banging Patrick's Sister! Labels: Miley Cyrus' Brother Banging Patrick's Sister!